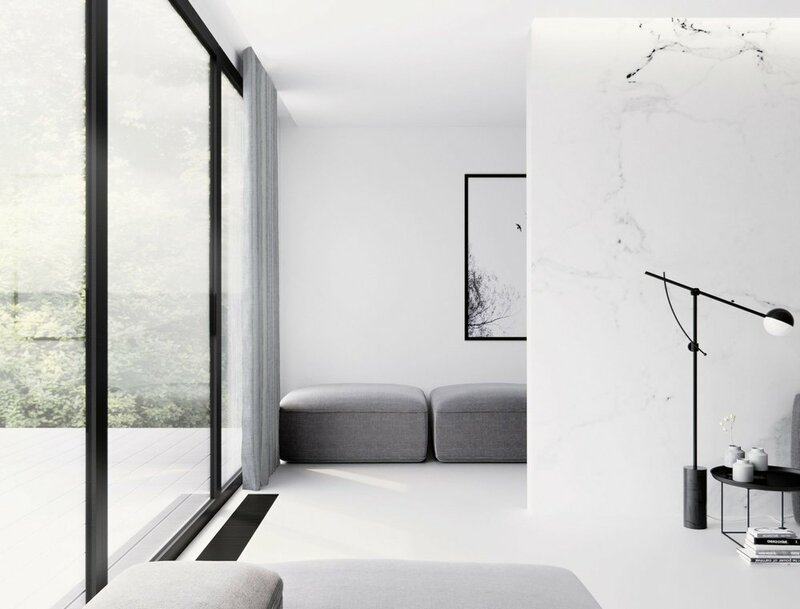 A wonderful interior design studio called Extravagauza, located in the UK, have developed a simply marvellous space called Calacatta. 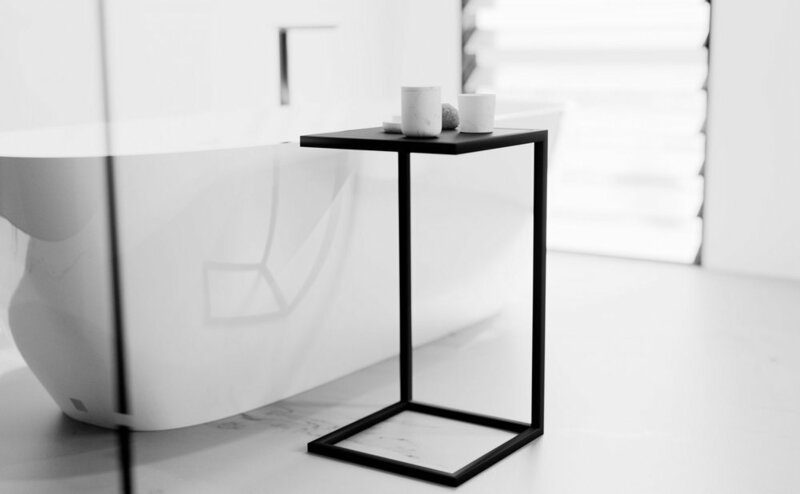 This gorgeous minimal space resides within the master bedroom and the bathroom. 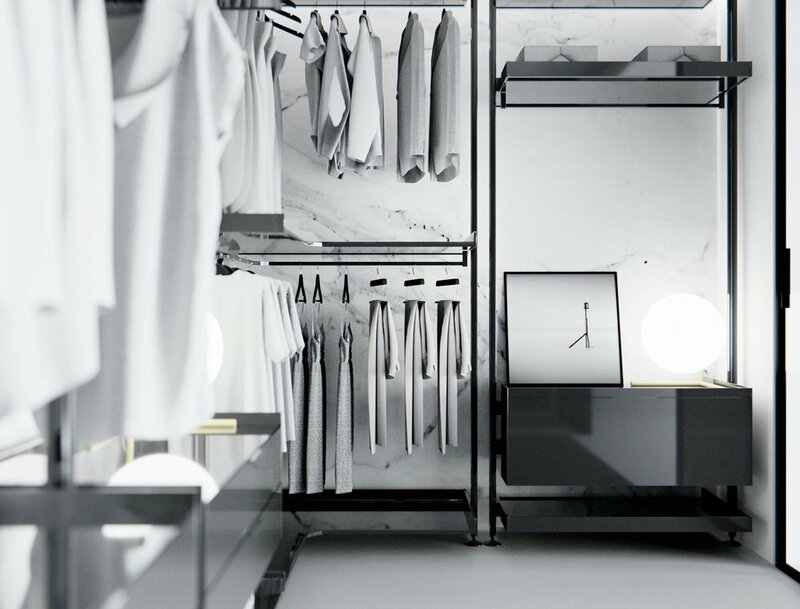 The name Calacatta comes from the stylish white marble that houses a tinge of grey fissures. 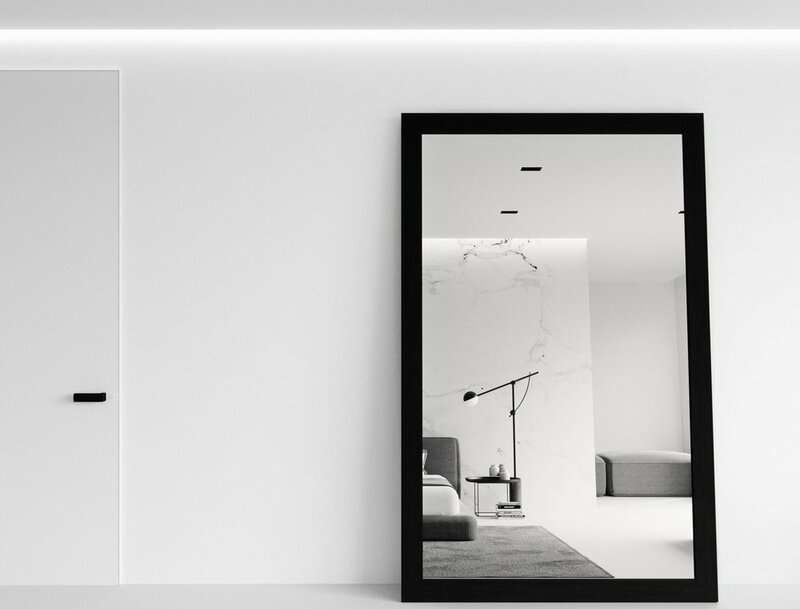 The main visual focus of the designed space, the white marble offers a class and dynamic focus for the user. So much so they decided to make the material the main visual feature on the central wall in the boudoir. 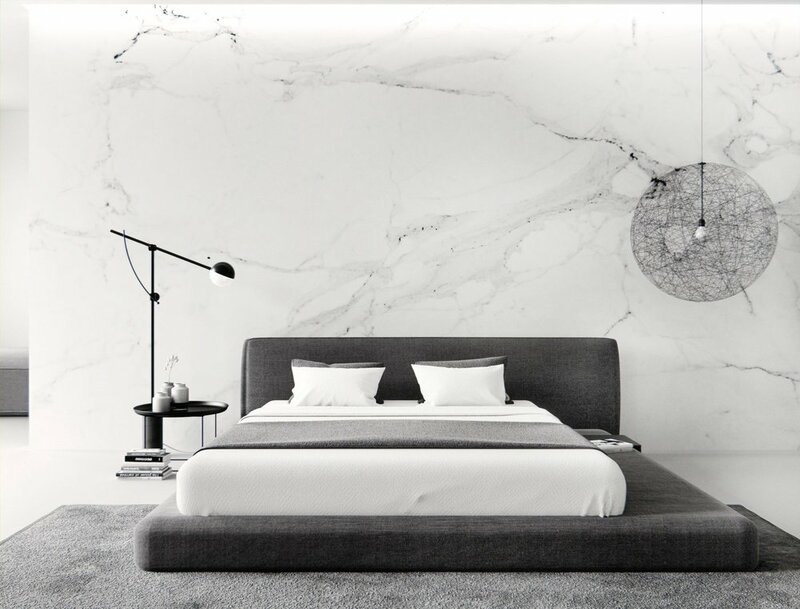 The simple minimalist design features within the space have been chosen carefully to help leverage off the white marble, such as the asymmetric lamp that sits by the bed, the black steel and the square-like finishings within the bedroom.